This is needed to provide due credits : CC-by-sa and others. 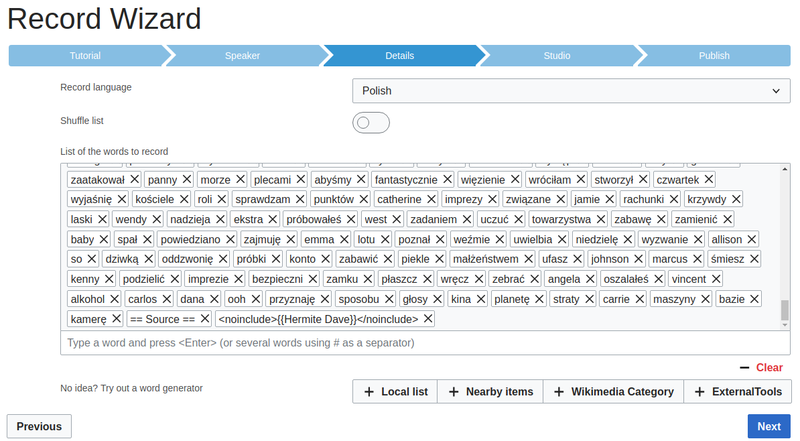 To test : Record Wizard > Details : local list > Pol/words-by-frequency-2001-to-4000. See result, at the end of the list. See wikipage, at the end of the page.